Google’s day one keynote for I/O has come and gone. We’ve seen the software giant whose Android mobile operating system dominates the market with nearly 80% of market share announce several things that we were expecting – and some more. From Android M to developer tools, I/O has seen a lot of announcements and if you missed Google’s keynote of the year, you can take a look at all the major announcements of this year below. Android M was one of the most anticipated and expected announcement of Google’s I/O. Looks like stability’s the mantra this time around for Mobile operating systems, as Google also renewed its commitment towards more stability and improved core performance. For its developer preview, Google’ highlighted several changes that you should expect Android M to come with. Starting from biometric recognition, Android M will now standardize fingerprint recognition across all devices. Not only will fingerprint recognition be standardized for unlocking devices, but now you’ll also be able to use it for purchases and more. Speaking of biometrics, Android Pay will now allow users to make mobile payments through their devices, on terminals supporting NFC. Google’s Apple Pay response is here and is supported by several carriers and services. Of course, you’ll be needing dedicated hardware on your devices to make these features work, but its good to know that Android’s moving in a good direction. Google’s also introduced several changes with respect to apps, and now you’ll be seeing an improved permission system as well as better web access. Now apps will ask you for permissions when you use them or their certain features, and not at time of installation. Users will be able to control what data and features applications have access to on a much greater scale. Chrome on Android is getting all new custom tabs that will allow apps to open custom Chrome tabs inside the app rather than launching the browser separately. Android M won’t be asking you which app you want to open web links with either. It’ll be able to detect which app links work best with and launch the app appropriately. Google’s also introducing new features that help Android’s next iteration manage device power in an improved way. Using motion sensors, your phone will be able to adjust its power requirements and charging based on movement. Naming this new feature as Doze, Google claims that Android M provides twice as much standby time as Lollipop on the Nexus 9. With I/O, Google’s launched an all new Photos. Now you’ll have nearly endless storage to store all of your favorite photographs, regardless of whether you took them yesterday or three years back. For the regular user, this means great news, even though your files will be compressed at time of upload. As far as its interface goes, you’ll be able to interact with your photographs in a variety of ways through Photos. For mobile devices, you’ll be able to access all your photos through pinching and zooming, regardless of time of capture. 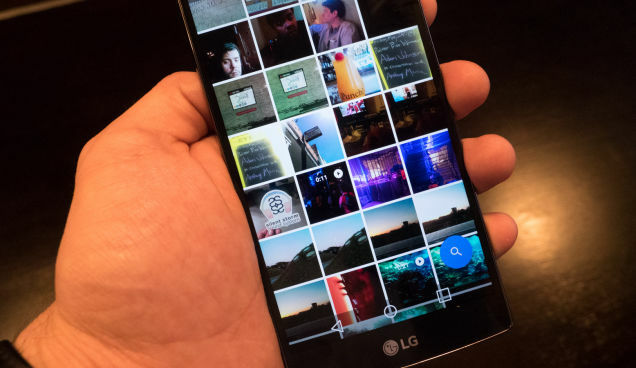 In Photos, you’ll also be able to search and navigate through photos via content. In a mood to take a look at all the selfies that you’ve ever taken? Just enter ‘Selfies’ and it’ll show you all the selfies in your collection. Google’s integrated all features present in other virtual photo collection services out there and added some of its own to the top. So if you’re a photophile, Google’s app will be just the thing for you? After Android Wear’s initial, we were quick to see a flurry of devices supporting Google’s wearable software come up in the market. But Android Wear proved to be a short lived fad, with the gadget world quickly moving forward towards smartphone releases. That hasn’t stopped Google from upgrading it however, and at I/O we saw several new features for Android Wear as well. Not only will it be getting support for GPS and Wi-Fi but several user centric features as well. Your Android wear device will now support an all new launcher, it’ll also be coming with a screen lock. Your device will also come with an always on feature, that display information and the time throughout the day, making it resemble a traditional watch. Google’s also announced that there are more than 4000 apps for the software, which should see its functionality and capabilities enhanced greatly. Services such as Uber, Foursquare and City mapper are getting support, coupled with the integration of maps with Always On, that will allow you to glance at directions on the go. The all new app launcher will improve stability and performance, and small features such as emoji recognition will add a lot to the platform. Lets just see how devices receive hardware upgrades this year. Aside from Android based announcements, Google also had a couple of other things up its sleeve at I/O. Cardboard saw a variety of upgrades, which transformed the VR project into something much more serious. Now with the all new Cardboard, Google’s offering can be used with any smartphone including iPhones. Of course screen size is limited to six inches, but this year’s Cardboard sees several upgrades including an all new developer kit that will allow apps designed for iOS, coupled with an App Store app launch as well. Expecdition from Google takes Cardboard to an entirely new level. Expedition allows teachers to take students to virtual trips Expedition is a large assortment of Cardboard headsets, compatible smartphones and a tablet which allows a group of students to experience trips virtually, with their instructor guiding them. Another project, Jump, uses 16 different cameras coupled with an assembler which allows for creation of depth corrected, stereoscopic videos. Specifications on how to build the Jump camera rig will be available starting this summer for anyone wishing to give it a try. I/O won’t be complete without a mention for the Smart Home or the Internet of Things. Google’s got its claws in that particular arena as well, with several products under Nest already available for the general public. 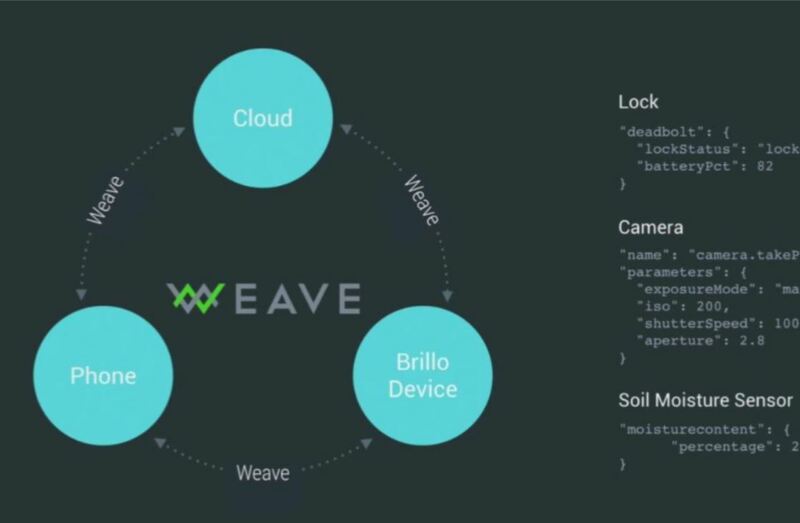 At I/O, Google announced Brillo, its plans for unifying all levels of smart home devices. Brillo is based on Android’s core code and with its integration inside Android M, it will allow you to use your smartphone as a hub for controlling each device. With Brillo, developers will be able to build instructions for devices based around Google’s platform. In fact, Brillo ends up sounding very much like Google’s response to Apple’s HomeKit. Both the platform aim towards unifying all things smart home. Since Brillo’s build right inside Android M, and Google has announced that it intends for Brillo to leave as minimal a footprint as possible, its unlikely for us to see a dedicated app for it. We’ll learn more as Brillo is launched sometime at the end of this year. Till then, stay tuned and let us know what you think in the comments section. The post Google’s I/O 2015: Here’s Everything You Missed by Ramish Zafar appeared first on WCCFtech. Previous article15 Must Have Safety Gadgets For Travelers.